Palo Alto University professor Dr. Ricardo Munoz was recognized as a Fellow by the Council of the American Association for the Advancement of Science (AAAS) this weekend at the annual meeting of AAAS in Boston, MA. 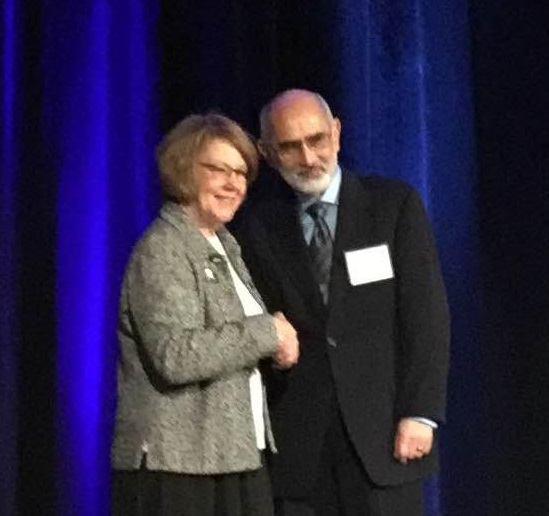 Dr. Munoz was honored for his distinguished contributions towards the prevention of major depression and the development of internet interventions to improve mental health worldwide. To learn more about Dr. Munoz’s election as a Fellow, click here. 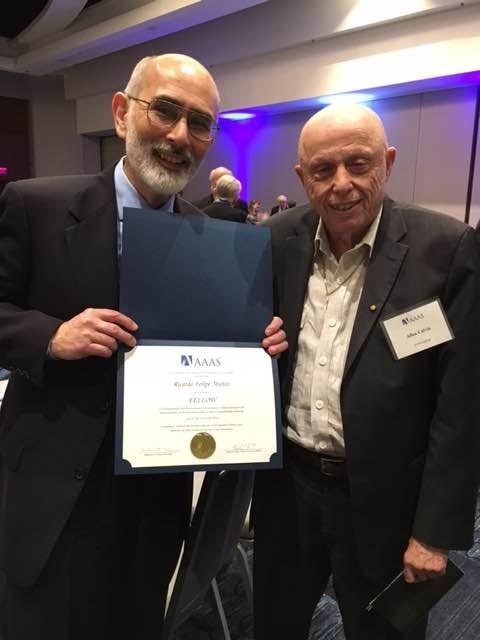 Dr. Munoz was joined by Dr. Allen Calvin, Palo Alto University President Emeritus, at the AAAS luncheon that recognized all of the newly elected Fellows. Dr. Calvin was also individually recognized at the end of the ceremony for his service as a Fellow since 1959.
annual meeting on Saturday, February 18, 2017 in Boston, MA.